It's hard to think about massive size coats right now, but for some of us this will be our reality very soon. What I did inspect this recent fashion month, oversized down coats were definitely popping up on the runway. I did LOVE the Saran Burton's for Alexander McQueen version of a coat that resembled a lush comforter. When the weather gets cold again, rest assured with these size coats you don't have worry the chill. 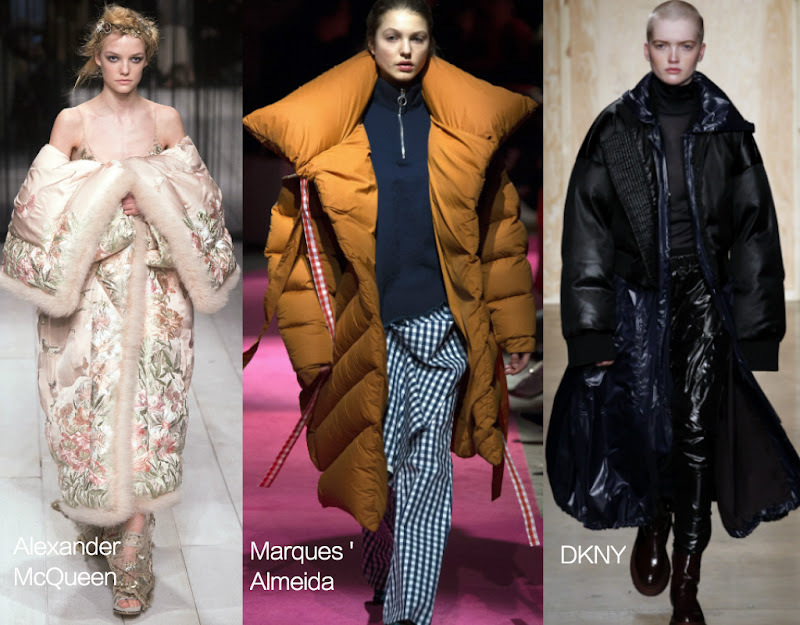 Do you like the oversized down coats?